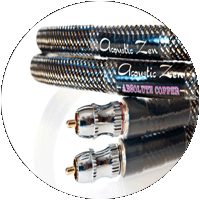 Acoustic Zen was founded by musician and engineer Robert Lee in 2000. 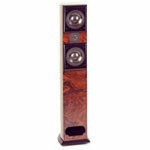 Since then, his products have consistently won coveted best in show awards for their natural and accurate sound. 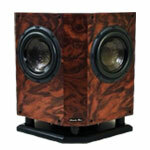 By combining a solid science with an ear for real music, Acoustic Zen provides pure enjoyment without compromise. More details can be found in the Acoustic Zen Design white paper. 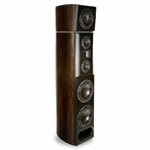 All Acoustic Zen speakers are sonically matched and suitable for two-channel or surround sound duty. 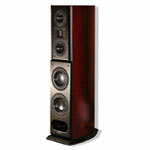 Let us help you pick the right speakers for your room and listening habits. 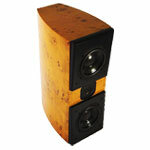 A variety of finishes are available including, but not limited to, Piano Black, Maple Burl, and Golden Burl. 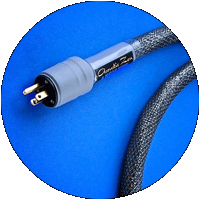 All speaker cables are available with spade, banana, or z-plug terminators. 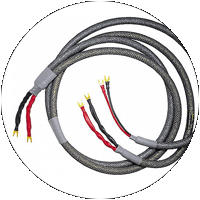 All jumper cables are available with BFA banana plugs or locking banana plugs. 11awg 6N zero crystal copper in constant air-twisting geometry using CL3 and FT4 PVC. Perfect for long runs and in-wall use. Available in mono and shotgun configurations or as jumper cables. 10awg 6N zero crystal copper. Available in mono and shotgun configurations or as jumper cables. 8awg 6N zero crystal copper. 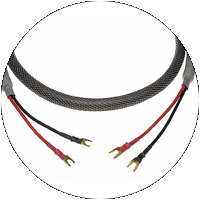 Available in mono and bi-wire configurations or as jumper cables. 8awg low-pass, 10awg high-pass, 6N zero crystal copper. Designed for full-range bi-wirable speakers. Available in shotgun configuration. 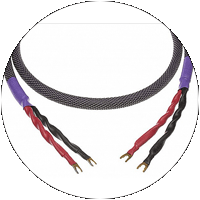 9awg 6N zero crystal copper/silver hybrid in constant air-twisting geometry using Teflon™ and air insulation. 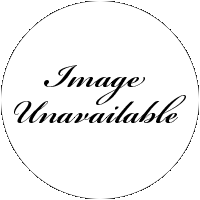 Inductance 0.41uH/ft; Resistance 0.008Ω/ft. Available in mono and shotgun configurations or as jumper cables. 6N silver-plated zero crystal copper. 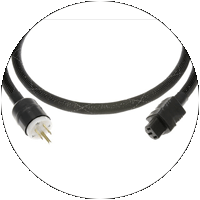 True coaxial design with high-density air-injected polyethylene dielectric. 6N zero crystal copper with silver solder. Air-injected PE foam insulation. 6N zero crystal copper. 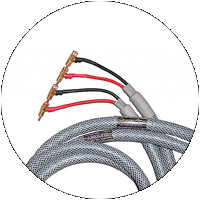 High-density air-injected polyethylene dielectric with additional layers of copper foil and braiding. 6N zero crystal copper with silver. Matrix design. Zero crystal ribbon copper hand-crafted into a flexible twist array. Hollow core foam Teflon™ using constant air-twisting geometry. 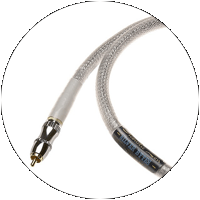 20awg zero-crystal silver hand-crafted into a flexible twist array. Hollow core foam Teflon™ using constant air-twisting geometry. Capacitance 6.1pF/ft. Inductance 0.02uH/ft. Resistance 0.006Ω/ft. Zero crystal copper and silver. 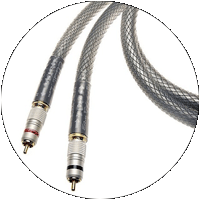 True 75Ω coaxial digital cable. 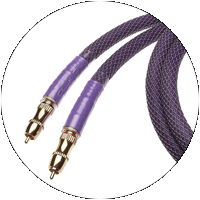 Available with RCA or BNC plugs. Zero crystal copper. 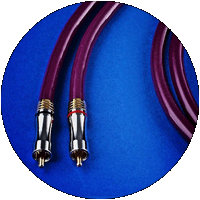 True 75Ω coaxial digital cable. 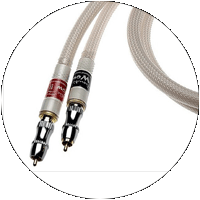 Available with RCA or BNC plugs. 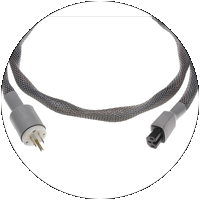 20awg zero crystal silver. True 75Ω coaxial digital cable with copper foil and braid shielding and air-injected PE foam insulation. 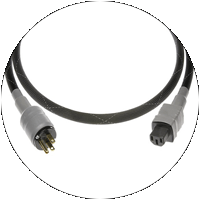 Available with RCA or BNC plugs. Zero crystal silver. 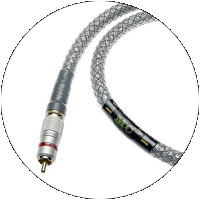 True 110Ω digital cable. 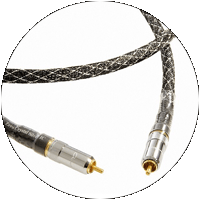 Available with RCA, BNC, or XLR plugs. Zero crystal ribbon copper. 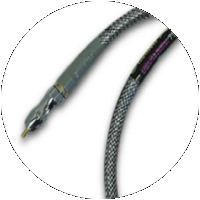 True 75Ω coaxial digital cable. 6N zero crystal silver. 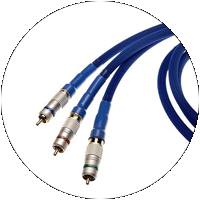 True 110Ω AES/EBU digital cable. 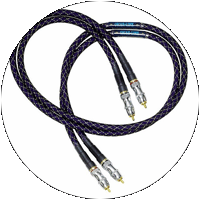 Available with XLR plugs. All IFC and power plugs are cryo-processed. 12awg 6N zero crystal copper using constant air-twisting geometry. 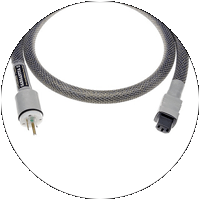 Double-shielded and CL3-rated and FT4-certified for in-wall use. 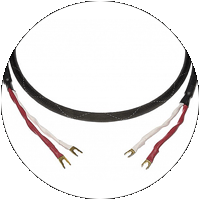 11awg 6N zero crystal copper and silver. Double-shielded. 9awg 6N zero crystal copper. Unshielded. 7awg 6N zero crystal copper and silver. Unshielded. 9awg 6N zero crystal copper/silver hybrid. Unshielded.